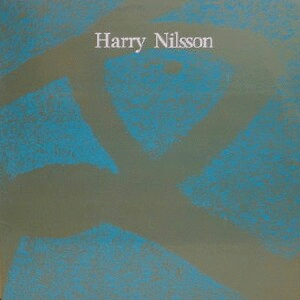 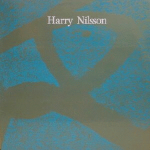 Following the moderate success of Nilsson Sings Newman and The Point!, Harry enlisted the production help of Richard Perry, booked London’s Trident Studio and set out to make the most rock n’ roll album of his career. 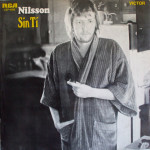 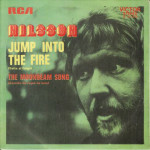 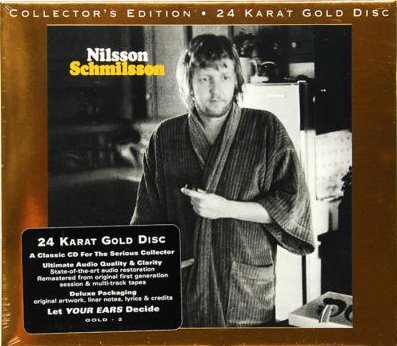 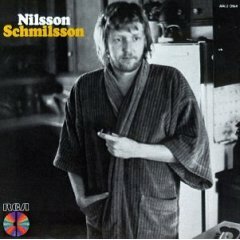 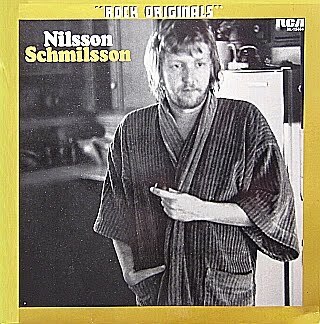 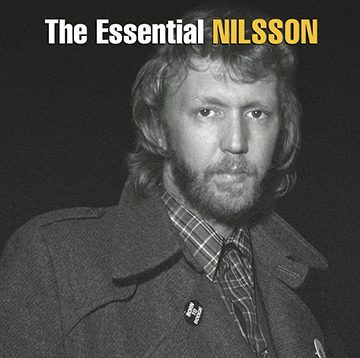 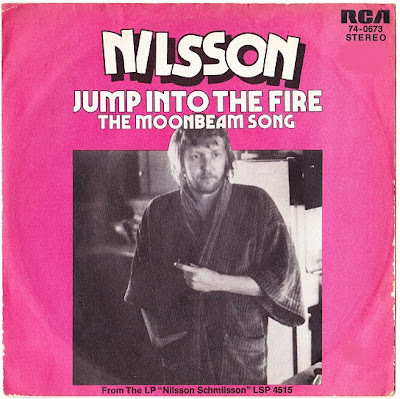 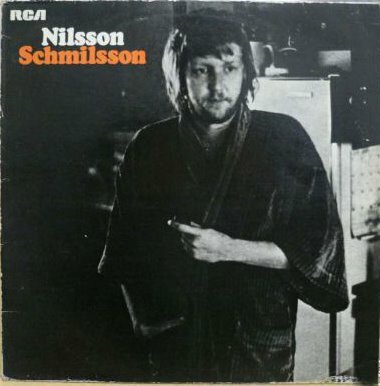 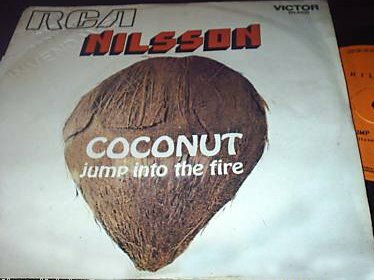 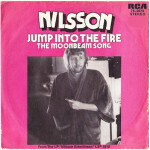 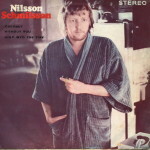 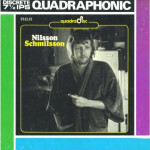 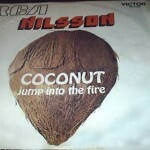 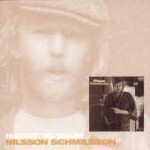 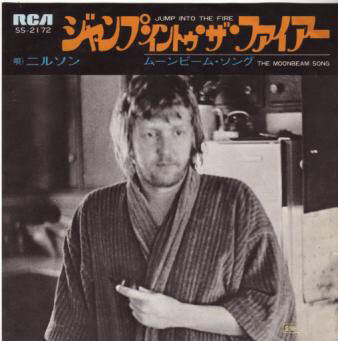 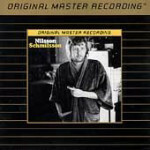 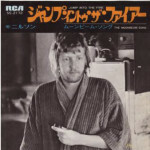 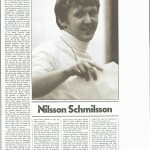 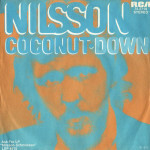 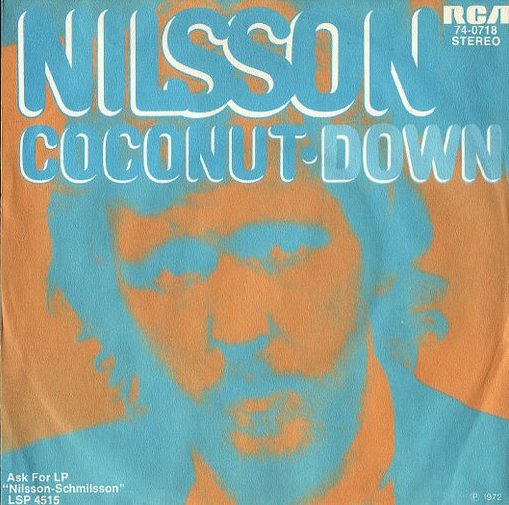 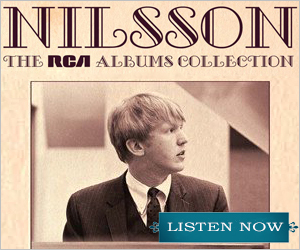 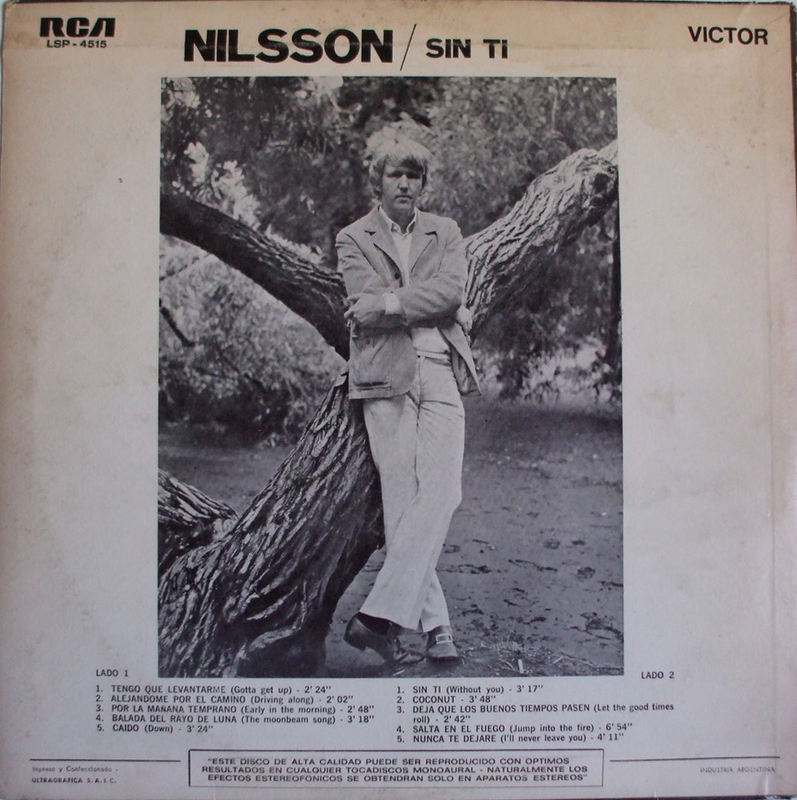 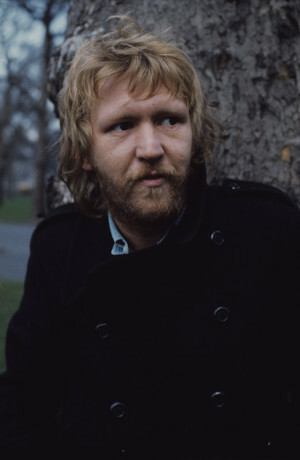 Nilsson Schmilsson signaled a shift away from the heavy orchestration, multi-layered harmonies and rich production that characterized his 1960s output, and toward a more organic, raucous approach to music making; a massively successful move that would yield a pair of Top 40 singles (“Coconut” and “Jump Into the Fire”) as well as a worldwide #1 (“Without You”). 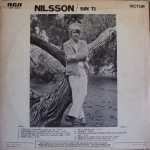 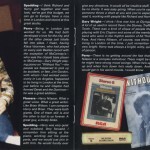 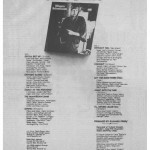 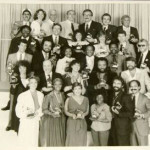 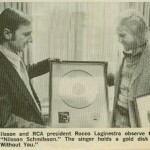 In addition to the chart toppers contained within its iconic picture sleeve were some of the most adventurous, beautiful songs in his repertoire. 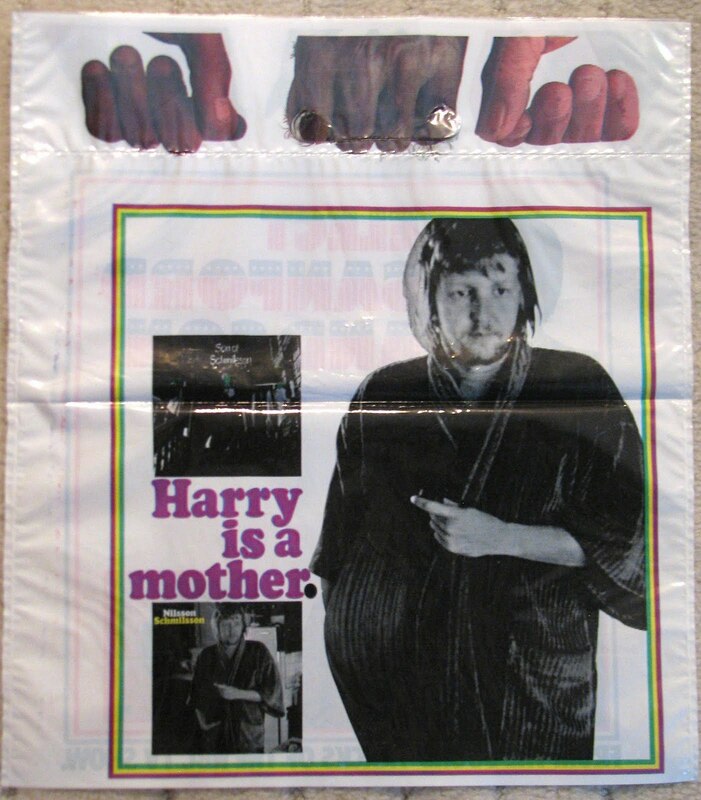 Musicians have built entire careers around the success of performances half as good as “Early In The Morning,” but here Harry knocks it out with just an organ and his voice. 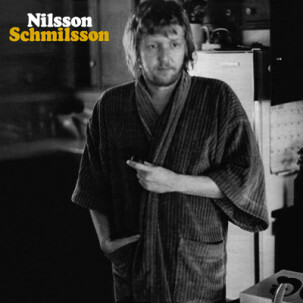 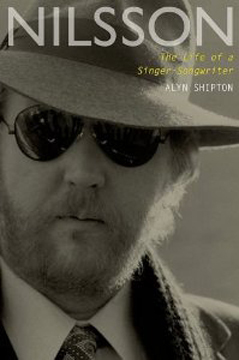 An intense, gorgeous LP that in true Nilsson fashion, left him with no other choice but to make a sequel. 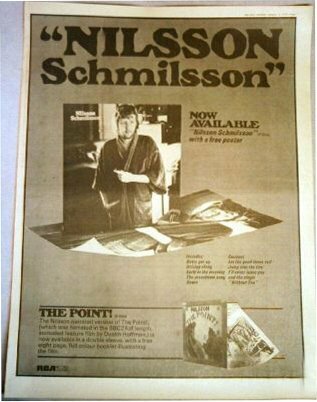 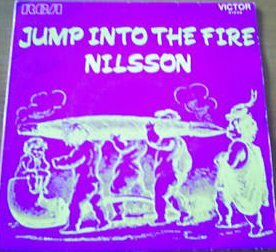 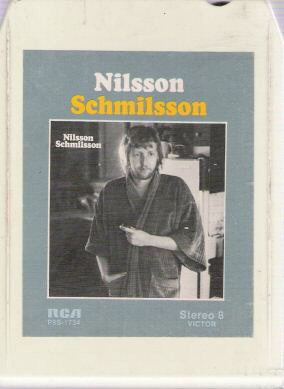 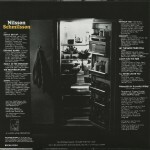 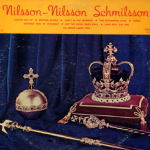 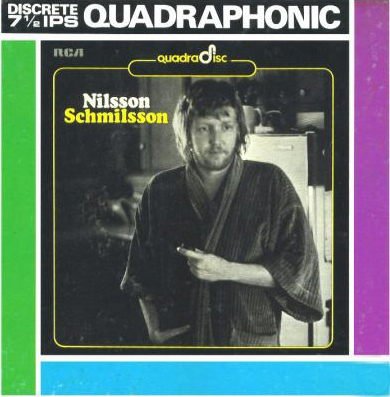 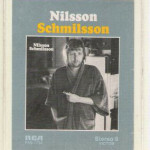 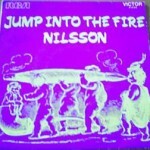 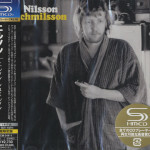 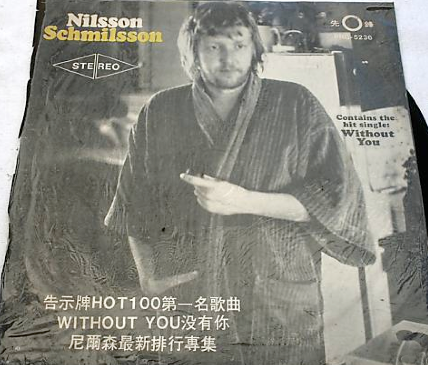 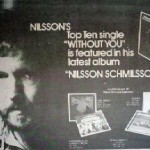 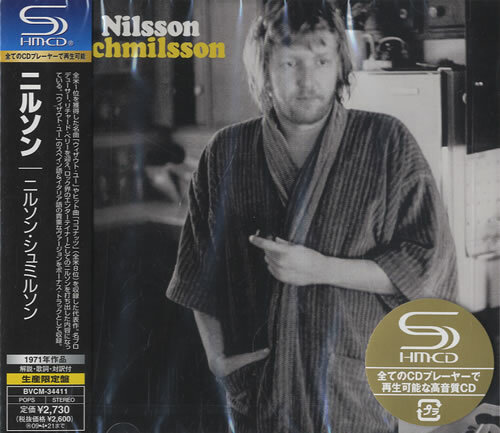 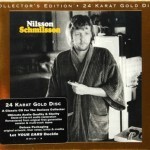 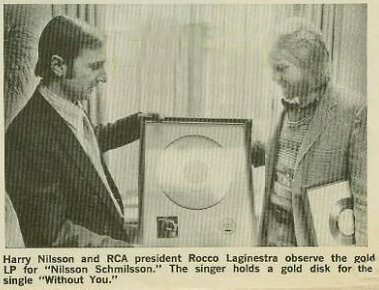 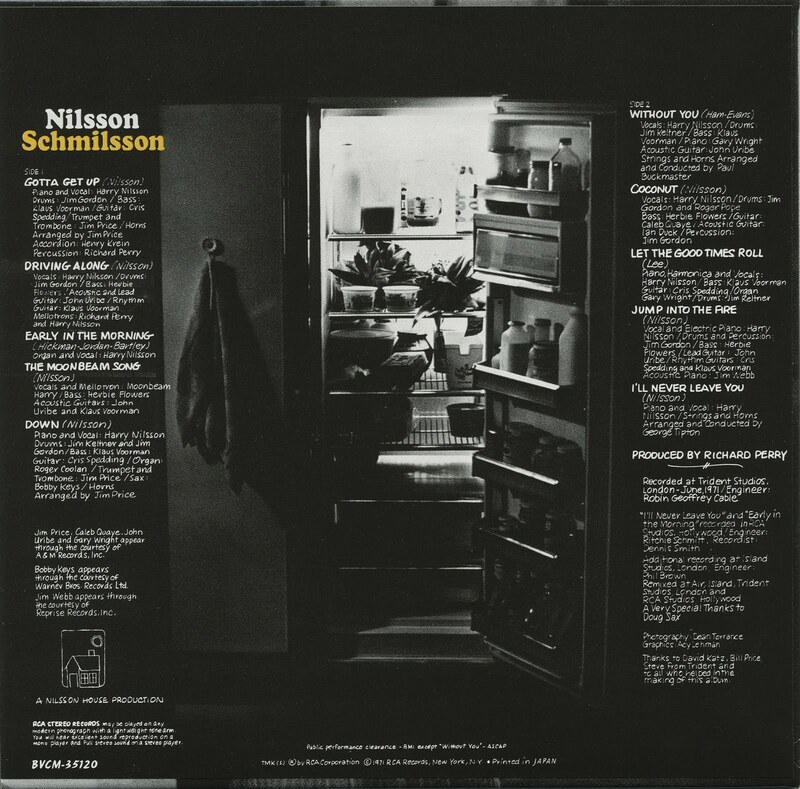 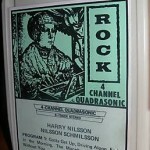 Here’s a wacky promotional item used to promote Nilsson Schmilsson. 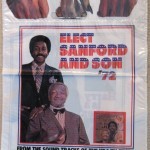 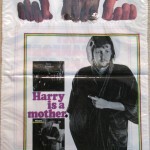 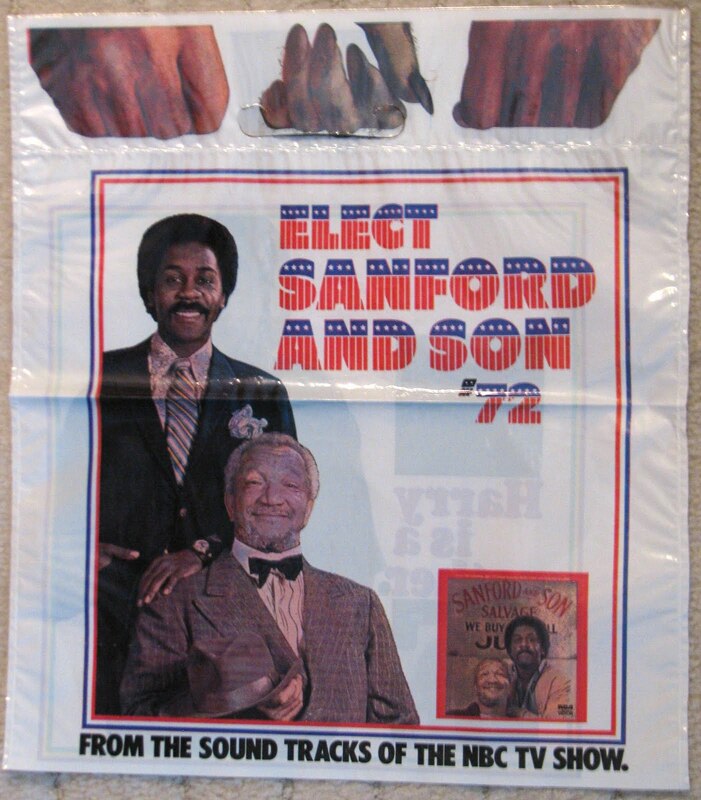 A two-sided shopping bag (with TV’s Sanford And Son on the other side) featuring a pregnant Harry and the tag line, “Harry Is A Mother.” Outside of landfills, you can bet there aren’t many of these 40-year-old oddities around anymore. 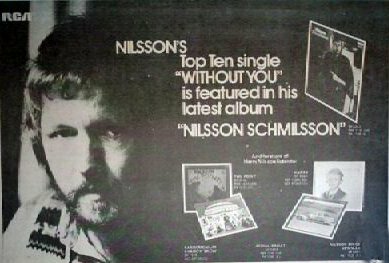 Thanks to Les Peterson for the share. 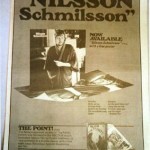 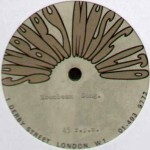 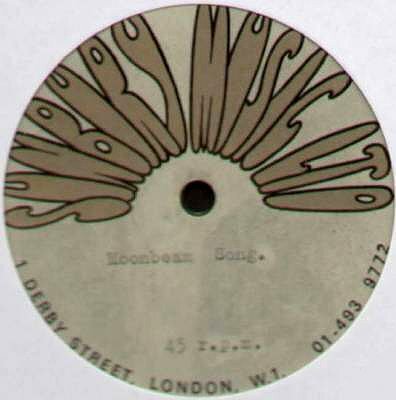 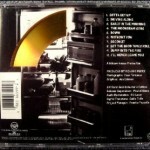 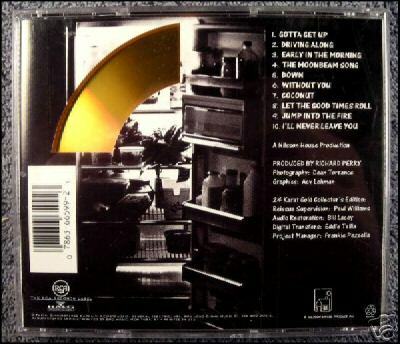 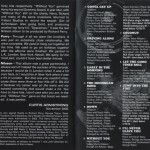 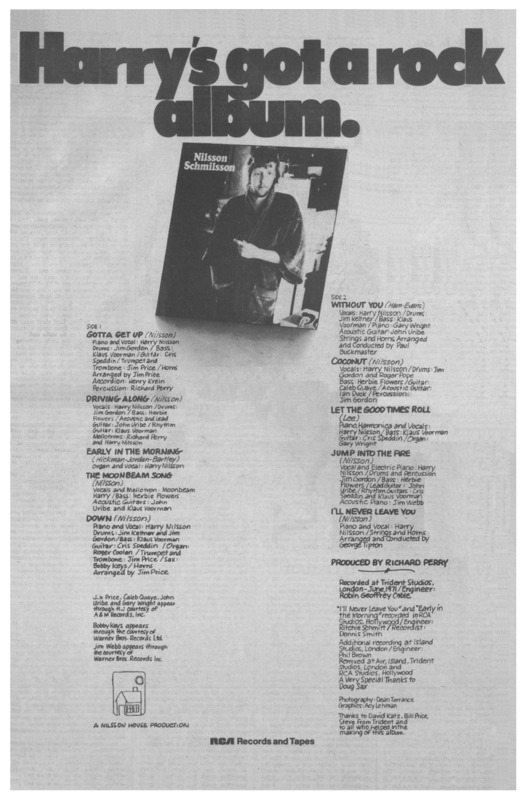 A successful album gets reprinted all over the world. 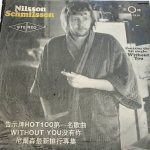 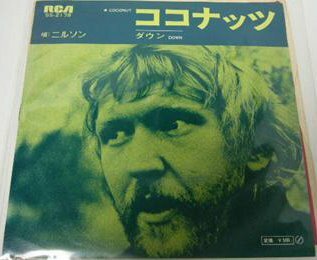 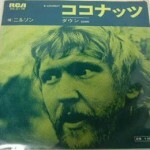 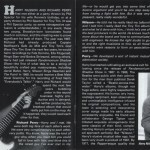 The Harry Nilsson cover below is from Korea, but contains the music of Nilsson Schmilsson. 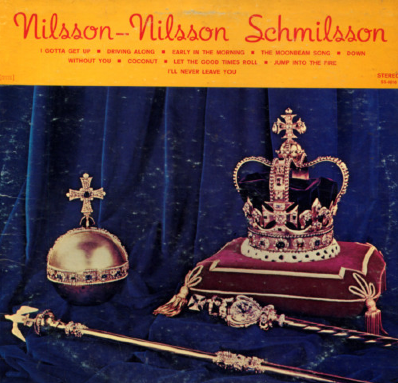 The second image below features crown jewels. 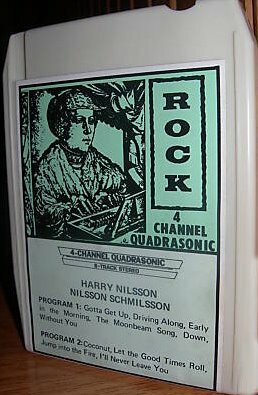 The third item, an 8-track version, features either a stock classical composer or a really bad drawing of Harry. 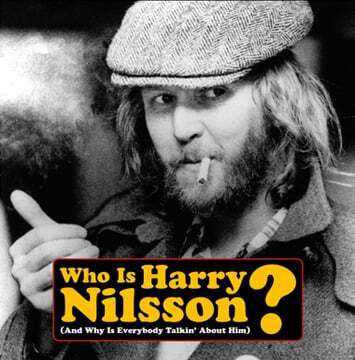 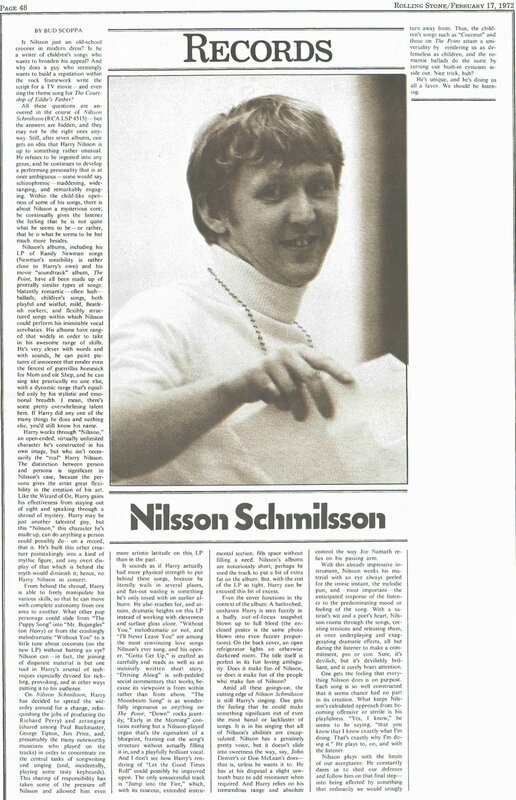 Bud Scoppa’s Rolling Stone lead review for Nilsson Schmilsson, dated Feb. 17, 1972, is hands down the most intelligent thing ever written about Harry in the magazine in more than 40 years. 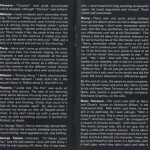 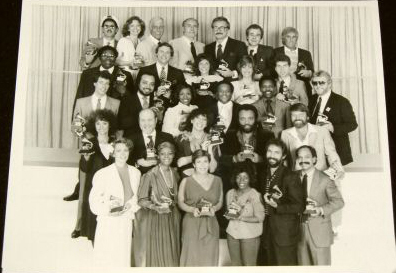 Click below to read how Scoppa gets it right.